A warm and welcoming interior with an old-fashioned feel, an open turf-burning fireplace, classic signage and interesting bric-a-brac stirring memories of a bygone age… these are just some of the features of “The Bloody Stream”, one of North Dublin’s most atmospheric and popular bars, where the byword is hospitality. Add to this the Mediterranean-style beer garden, live music every evening and an extensive menu of fresh seafood and other delicacies and you have a special venue indeed. Located just below the Howth DART station, its live music and late night bar create a real party atmosphere that’s proven a major attraction for locals as well as those travelling from Dublin city centre. In the heart of the picturesque town of Howth and its impressive harbour, The Bloody Stream has plenty of parking nearby and is especially popular among tour groups. It’s the perfect spot for those looking for great food and drink in pleasant surroundings, with that indefinable “craic” usually in evidence for good measure! 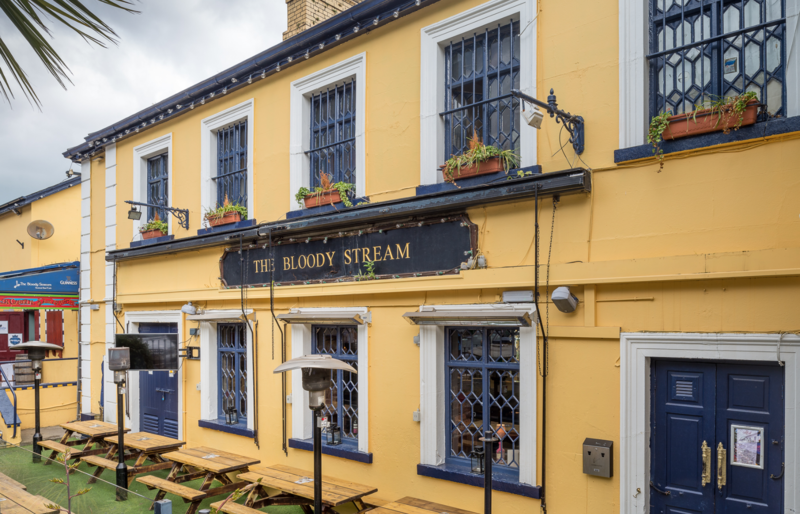 Whether you’re a fan of traditional Irish, Jazz, Blues or mainstream popular music The Bloody Stream always has something different to offer (see the website), and its beer garden is the perfect place for a summer afternoon’s listening to good sounds and enjoying a drink. 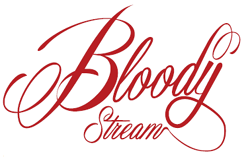 The Bloody Stream caters for tour groups visiting Howth, private and corporate parties, and all social and sporting events. The Bloody Stream is named in honour of The Bloody Stream over which it is built. In August 1177, during the second Norman invasion, a heavy battle took place near here between the forces of Sir Almeric Tristram (said to have been a descendent of one of the knights of King Arthur’s Round Table and whom took over command from Sir John de Courcy on the expedition’s arrival at Howth, who was unable to leave his ship) and the Danes, who were occupying Evora Bridge at that time. Inevitably the fighting produced blood, some of which found its way into the little stream that has been known as “The Bloody Stream” ever since.